WCS (Wildlife Conservation Society) supports a new bipartisan bill introduced in the U.S. Congress that encourages a science-based approach to fisheries conservation and management to significantly reduce the overfishing and unsustainable trade of sharks, rays, and skates around the world and prevent shark finning. H.R. 5248, the Sustainable Shark Fisheries and Trade Act, was introduced in the U.S. House of Representatives by Rep. Daniel Webster (R-FL) and Rep. Ted Lieu (D-CA), along with co-sponsors Rep. Bill Posey (R-FL), Rep. William Lacy Clay (D-MO), Rep. Walter Jones (R-NC), Rep. Darren Soto (D-FL) and Rep. Gus Bilirakis (R-FL). The Sustainable Shark Fisheries and Trade Act would require that imports of shark, ray, and skate parts and products to the U.S. be permitted only from countries certified by National Oceanic and Atmospheric Administration (NOAA) as having in place and enforcing management and conservation policies for these species comparable to the U.S., including science-based measures to prevent overfishing and provide for recovery of stocks, and a similar prohibition on shark finning. WCS, along with its partners in the conservation community and allies in the fishing industry, have launched a campaign to support the Sustainable Shark Fisheries and Trade Act in order to conserve sharks, rays and skates. The coalition includes more than 40 partner organizations and aligns with the Association of Zoos and Aquariums' Saving Animals From Extinction (SAFE) initiative, which leverages the reach, expertise and resources of accredited zoos and aquariums to save species in the wild. Rep. Daniel Webster (R-FL) said, "Fishing is a long-standing profession and treasured American pastime, and particularly important in Florida. Our responsibility to is balance the needs of the industry with conservation. This bill recognizes the sacrifices American fishermen have made to rebuild and sustain our shark populations. It encourages other nations wishing to export shark products to the United States to the same high standards for shark, skate, and ray conservation and management we apply to fishermen here." Rep. Ted Lieu (D-CA) said, "U.S. shark fisheries are governed by some of the strongest science-based conservation regulations in the world. Accordingly, we should be leading the charge to counsel other nations in proper shark management. Preventing exploitation in global fisheries helps safeguard our ocean's delicate ecosystem and can help promote the humane treatment of shark populations. I'm proud to introduce this bill with Rep. Webster because the U.S. should be leading the charge in environmental conservation efforts. We have a responsibility to disincentivize the trade of unsustainably or illegally harvested shark fins and other shark products." John Calvelli, WCS Executive Vice President of Public Affairs, said: "We must take action now to prevent the global overfishing of sharks and rays that is decimating populations of these prehistoric and iconic animals. This bill is a bipartisan solution that both conservationists and the fishing industry can agree upon. The incentives laid out by the legislation can create a ripple effect that can make all the world's oceans a better home for sharks, rays and skates." Luke Warwick, Associate Director of WCS's Sharks and Rays Program, said: "Sharks play an essential part in the health of our oceans, and they need our help. Research has clearly shown that effective fisheries management can reverse the global declines see in shark and ray populations, but that outside of a limited number of countries including the US, such management is lacking. This law would incentivize countries to better manage their shark and ray fisheries, which when coupled with our work globally to support those Governments understand their shark fisheries, and develop strong conservation and management measures, can help safe these inherently vulnerable animals." Bob Jones, executive director of the Southeastern Fisheries Association in Tallahassee, Florida, said, "We'd like to thank Congressmen Webster and Lieu for introducing the Sustainable Shark Fisheries and Trade Act, which represents a better way forward for shark conservation. This legislation goes a long way toward combatting the threats facing global shark stocks by promoting the successful model of American shark management." Across the world, most shark, ray, and skate fisheries are subject to very little management; shark and ray populations are widely overfished and fisheries are often not regulated or monitored so that the impacts of fishing pressure are unknown or unchecked. In the U.S., however, current fisheries law, including the Magnuson-Stevens Act, provides a strong framework for improving shark and ray conservation worldwide, such as requirements for science-based limits on fisheries to prevent overfishing and rebuild overfished stocks. For example, a recent analysis of global shark catches identified several U.S. shark fisheries as meeting that study's criteria for biological sustainability and science-based management – but globally most shark and ray fisheries lack the management needed to guarantee sustainability. The U.S. is a significant shark fishing and trading country, primarily through exports, and U.S. leadership on sustainable trade standard is important to promoting sustainable shark fisheries globally. This bill, if it becomes law, would continue to give the U.S. a strong position from which to advocate for adoption of similar policies in other countries. As part of its field conservation work, WCS is working with governments, the fisheries sector, and environment agencies to document shark fisheries, investigate the status of shark and ray populations, and develop and implement conservation and management measures for these species. Based on official statistics, which are widely believed to under-report actual levels, global trade in shark and ray parts and products is approaching $1 billion in value. In 2011, total global trade in shark and ray parts and products was valued at $438.6 million in fins and $379.8 million in meat. These figures do not include domestic use of shark and ray products, which drives much of the global consumption for the 800,000metric tons of sharks and rays that are reported to be landed annually by global fisheries. The value of the shark tourism industry is also estimated to be around $314 million annually. Major shark fishing countries beyond the U.S. include Indonesia, India, Spain, Taiwan ROC, Mexico, and Pakistan. The U.S. also imports shark, skate and ray parts and products from a variety of countries, including New Zealand, Canada, China including Hong Kong, and Mexico. 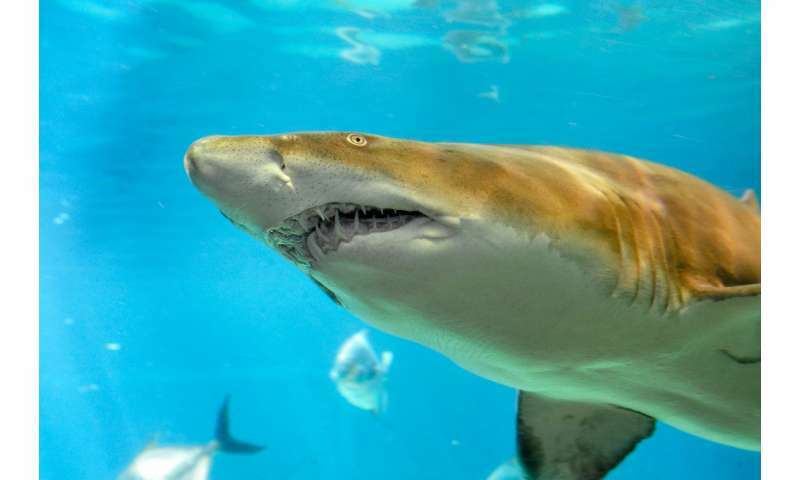 Market demand for shark – and in some instances ray – fins, meat and other products drives large scale international trade – with fins highly valued in parts of Asia, and meat in Europe, Republic of Korea, Latin America, and the U.S. Some of the most valuable "shark" fins in the global fin market are actually from other cartilaginous fishes, such as sawfishes and guitarfishes – two of the seven most threatened families of sharks and rays and among the most endangered of the world's marine fishes. Overfishing through targeted fisheries and incidental catches in fisheries targeting other species such as tunas are by far the biggest threat to sharks and rays worldwide. Although some species are so threatened that they cannot be sustainably fished, others can support sustainable fisheries ifsubject to adequate management. WCS works to conserve sharks, rays and skates and their relatives through its Global Marine program, WCS country programs, and participation in the Global Sharks and Rays Initiative (GSRI), a global partnership implementing a 10-year global strategy to conserve the chondrichthyan fishes. WCS's New York Seascape program is centered at its New York Aquarium, which provides a unique opportunity to build a constituency for shark and ray conservation in the United States. The WCS New York Aquarium is currently constructing a major new exhibit, Ocean Wonders: Sharks! which will connect visitors to the marine life and habitats vital to healthy waterways in and around New York City. The WCS New York Aquarium aims to become the hub for marine conservation on the East Coast and continue to build support for marine conservation both locally and globally.